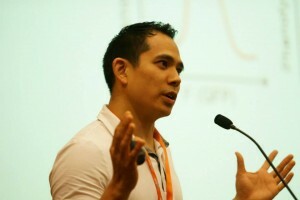 The Canadian Association for Neuroscience is proud to announce that Dr. Brian E Chen, from the Centre for Research in Neuroscience at McGill University, is awarded a Young Investigator Award for 2014. He will receive his award during the opening ceremony at our upcoming annual meeting, on May 25 2014. Dr. Brian E Chen seeks to understand how the instructions to wire up a brain are encoded within the genome. His research uses a combination of high-resolution imaging techniques with advanced molecular genetics to look inside the brains of living animals while their neurons form synaptic connections. Dr. Chen’s lab uses both invertebrate model organisms to help identify basic genes involved in neural wiring, and vertebrate to relate these implications to the human brain. Dr. Chen’s research will provide insight into how the brain’s wiring diagram is encoded in the genome, and how these instructions malfunction in mental disorders. Dr. Chen’s research accomplishments demonstrate his ability to address central questions in the field of neuroscience. His research has helped deepen our understanding of the mechanisms underlying neural wiring, and the genetic causes of intellectual disabilities such as Fragile X, Down syndrome, and autism. His important research has been published in high impact journals such as Nature, Cell, and Nature Neuroscience. Dr. Brian Chen received his PhD in Neurobiology from the State University of New York at Stony Brook at the age of 24, where he worked with Dr. Karel Svoboda at the Cold Spring Harbor Laboratory. Dr. Chen then moved to a post-doctoral fellow position at the Dana-Farber Cancer Institute at Harvard Medical School working with Dr. Dietmar Schmucker until 2006, when he moved to a second post-doctoral position at Harvard where he won a Merck Award for Genome Related Research working with Dr. Joshua Sanes. In 2009, he joined McGill University to start his own lab as a new Investigator. He was awarded the Canada Research Chair in Neural Circuit Formation in 2009, and the Sloan Research Fellowship in 2011 from the Alfred P. Sloan Foundation. His research has produced major insights into our understanding of the cellular and molecular basis of neuronal circuit formation and refinement. Chen BE, Kondo M, Garnier A, Watson FL, Püettmann-Holgado R, Lamar DR, Schmucker D. The molecular diversity of Dscam is functionally required for neuronal wiring specificity in Drosophila. Cell. 2006 May 5;125(3):607-20.